Landlords say the current process takes too long. It would be a mistake for Ontario’s Progressive Conservative government to contract out eviction enforcement, one tenant advocacy group says. 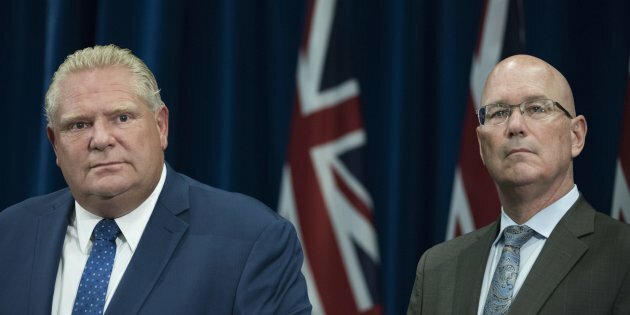 “When people have to be evicted from their home, there’s some pretty nasty situations going on like family breakdowns, illnesses, deaths in the family, bankruptcy, poverty, mental health,” said Kenn Hale, the director of advocacy and legal services for the Advocacy Centre for Tenants Ontario (ACTO). 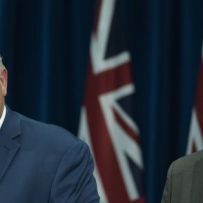 On on Sept 10 2018, Ontario Premier Doug Ford (L) and Steve Clark, Minister of Municipal Affairs and Housing, attend a press conference to address the Ontario Superior Court’s decision that the provincial government’s legislation to slash the size of Toronto council, was deemed unconstitutional. The idea “is neither the current policy of the government nor proposed legislation at this time,” Julie O’Driscoll, Clark’s director of communications told HuffPost in an email. Todorow, the ACTO representative who attended the government’s consultation, said they fought back when the former Liberal government considered the same thing in 2016. Sometimes landlords and tenants misrepresent their situation, ACTO wrote in its paper, so the enforcement officer needs to be impartial. Paid bailiffs might just do as the landlord says, because that’s who is paying their fee. “Simply put, a lock-out, even if warranted and lawful, is a traumatic event for a family,” ACTO wrote.